Marlink will, in September, launch XChange FX, an advanced new hardware solution designed to maximize value for the firm's customers using Inmarsat Fleet Xpress voice and data services. XChange FX provides previously unavailable network and service information in real-time, enabling users on board to manage usage according to status and ensuring Marlink’s global support network can react fast and effectively to any issues, based on the availability of precise, real-time network data. The system also future-proofs Fleet Xpress, by enabling over-the-air firmware and software updates. Developed by Marlink and Inmarsat’s expert engineers and powered by Soft NSD (Network Switching Device) V1.5, XChange FX enhances the standard solution by introducing several key features, including real-time on board connectivity monitoring, enabling traffic prioritization to ensure critical applications are always globally available. While Marlink Fleet Xpress users already enjoy exclusive access to the most extensive portfolio of business critical solutions, XChange FX adds an extra layer of management functionality which empowers end-users to make the most effective use of Fleet Xpress. XChange FX provides unique visibility into on board network performance and statistics, ensuring users will always know if they are using Ka- or L-band via a number of methods, including a built in LCD screen, enabling usage patterns to be adjusted. More in-depth data will be available in a customer dashboard providing easy to understand bandwidth performance and traffic statistics, available on board and for Marlink support experts to streamline remote troubleshooting. XChange FX is not subject to an Export Control License, so can be delivered globally without customs and border delays. The system is simple to install, and once on board, delivers the most advanced functionality available for Fleet Xpress network management available today. Fleet Xpress is augmented by an extensive layer of value added services from Marlink, including the already available Portal360 online management system and the SkyFile email and anti-virus suite. Marlink customers choosing Fleet Xpress can also enjoy low-cost voice calling, as well as remote network access and advanced crew communication solutions, including specific prepaid or postpaid account and crew connectivity via laptops, tablets and smartphone. Tore Morten Olsen, President Maritime, Marlink, said that the company's multi-band network strategy ensures the best service can be provided, whatever the requirements — bringing the same added value to Fleet Xpress customers that the firm offers with Marlink's other Ku and Ka-band services was important from day one. To achieve this, Marlink is connected to all three Global Xpress ‘meet me’ points, which enables the company to make the firm's portfolio of business critical solutions available on Fleet Xpress. With XChange FX, Marlink is leading the way by making network status and statistics readily available to the user, ensuring they can optimize their connectivity and ensure availability of business critical digital solutions. 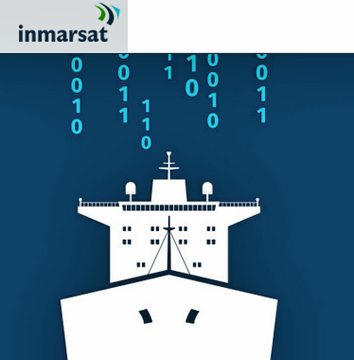 Ronald Spithout, President, Inmarsat Maritime, noted that this integration demonstrates Marlink’s strength and speed at integrating new technologies and reaffirms their status as one of the leading innovative players in the maritime industry. Fully integrating the software element of the Network Service Device into the XChange FX platform will allow Marlink to continue to develop their own value-added solutions for the rapidly growing market for onboard applications evidenced by the dramatic growth in Fleet Xpress installations, which accounted for 6 percent of the total maritime VSAT market in the first half of 2018.